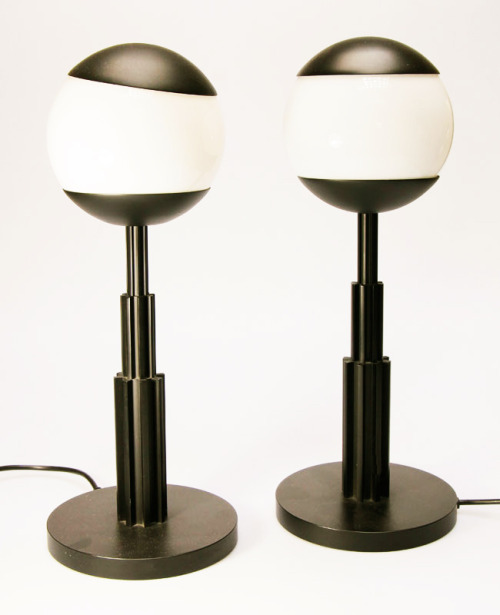 With its avant-garde and unusual looks well-rounded, Grumo wandering lamp white is crisp. His topped ball with a hook shape is also convenient that unusual. 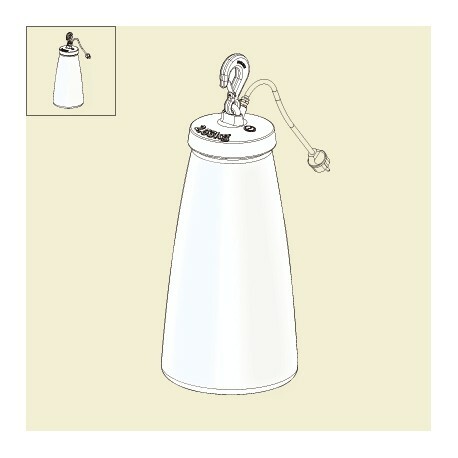 Clever, this wandering lamp snaps everywhere to disseminate both design and soft lighting. A must-have! -Why we need the lamp Grumo? First of all, because it’s a wandering lamp. 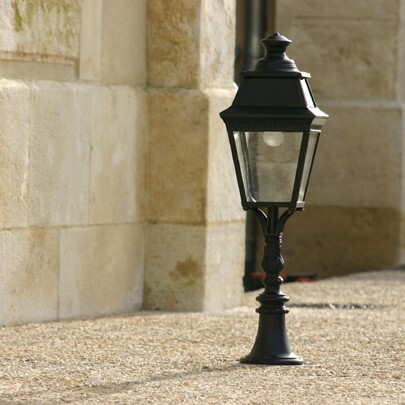 It allows therefore to install outdoor lighting where you want and it is a must. 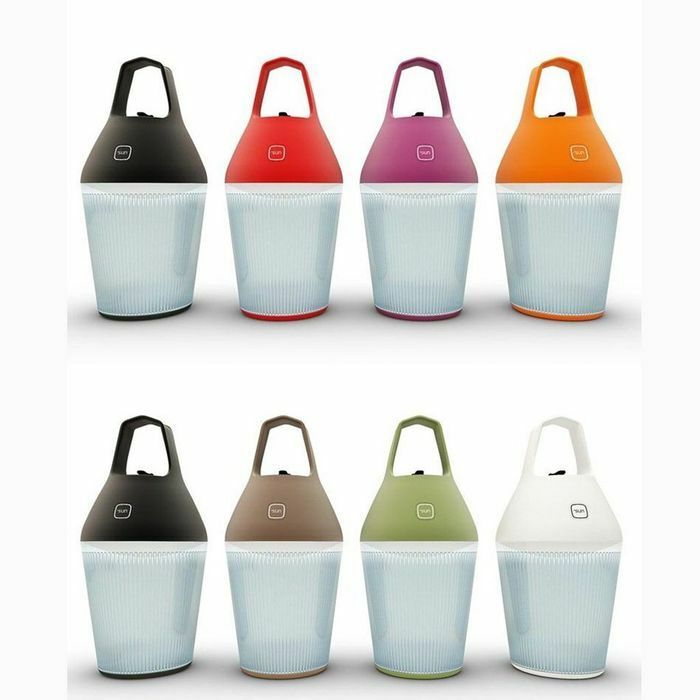 But also, because only its original ultra design adds to your garden or terrace ‘construction site’ much-hyped. In association with design furniture to the lines soft and curved to echo its roundness. For a lounge atmosphere, it is associated with the contemporary white furniture and large red cushions to remind his hook. 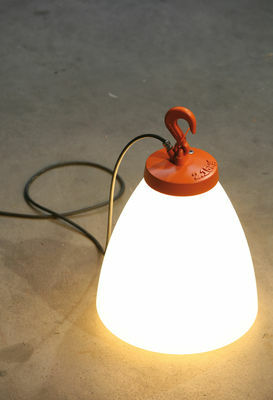 For a more Bohemian spirit, we mix the Grumo lamp with retro furniture in red iron. -For what style terrace or garden? With its offbeat and current style, it is perfect for a terrace in the contemporary city. Its opal diffuser also allows him to join a urban balcony. And his unusual look also makes a perfect light to illuminate a small garden with fun and trendy design. 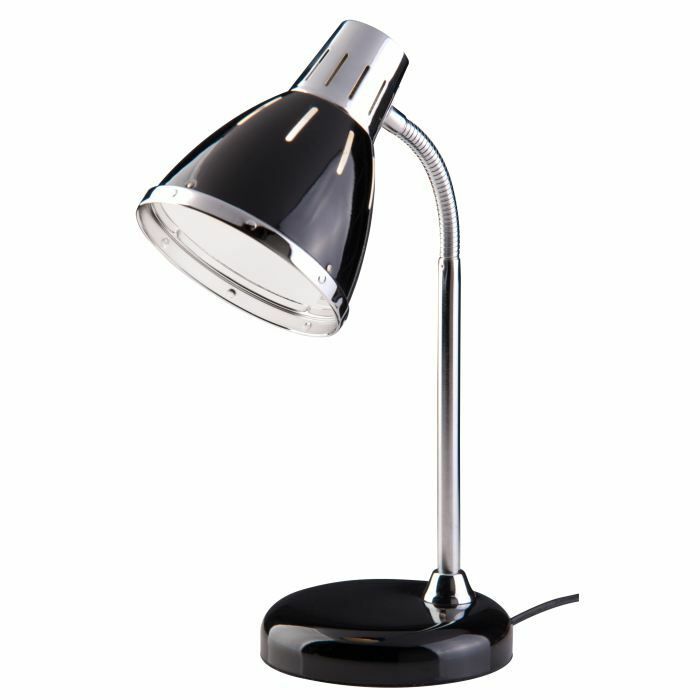 Undeniably, its hook which class the lamp Grumo in the range of the wandering ampesl. You can hang it all very simply, under an umbrella or a tree. You can also take him everywhere, according to your needs, thanks to its cable of 7 metres long. 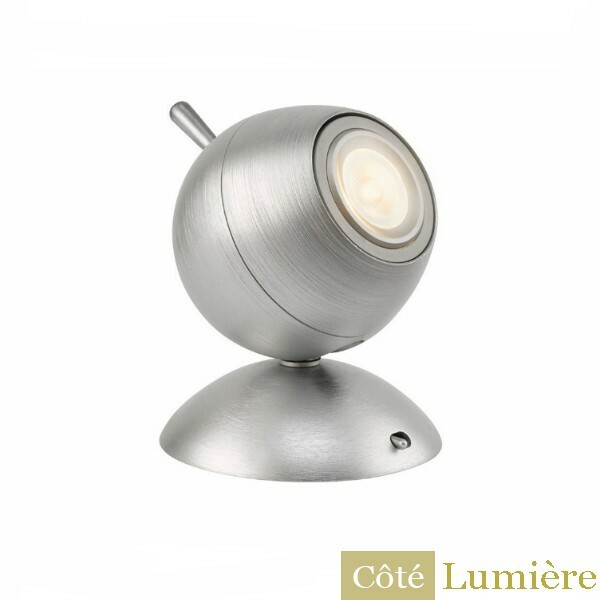 Its quirky design and its spherical shape make it an object of choice as beautiful kindled off. 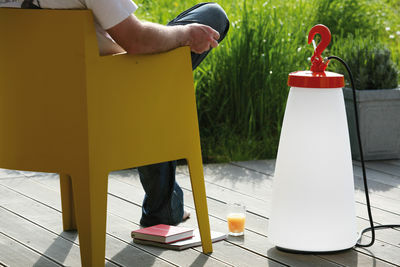 Grumo lamp is perfect for transforming your outdoor in space design.